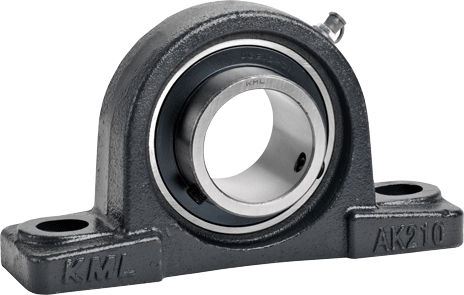 Mounted Bearing Unit housings are made from high strength cast iron. The housings are designed with solid base construction and reinforced bolt hole areas. The insert bearings’ inner ring, outer ring and balls are produced using vacuum degassed 52100 bearing steel. These components are heat treat hardened to produce a durable wear surface on the balls and ball tracks.